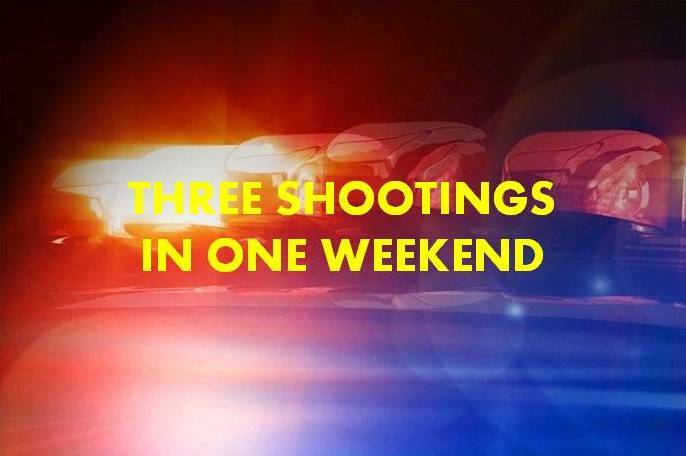 Ocala, Florida — On August 8, 2014, a shooting occurred in the 900 block of Southwest Fort King Street and another at Sutton Place Apartments, located at 520 NE 23rd Circle, Ocala. Several shots were fired in the Fort King area. Bullets hit a house and a parked vehicle. In the Sutton Place Apartments incident, a black Mercedes was identified after witnesses told police that someone from the car fired one shot. The suspect(s) then drove into a dumpster as they were fleeing the scene. The Mercedes was seized by police after they found it parked at Parkside Apartments. On August 10, 2014, a store clerk with Martin Oil, located at 1517 SW 10th Street, Ocala, alerted police after she hit the panic alarm. According to the Ocala Police Department, several black males began fighting in the parking lot of the gas station. That is when the clerk locked the door to the business and hit the panic alarm. A witness told police that a white Honda was in the parking lot of the gas station and shortly after, a white Buick and grey Impala pulled into the parking lot. The witness told police that the occupants of the Buick and Impala jumped the occupant of the Honda. The driver of the Honda was able to get back into his vehicle and drive off. As the Honda was leaving, a green SUV was approaching and the occupants of the Buick and Impala pointed at the Honda. That is when the green SUV began to chase the Honda and opened fire. If anyone has information about the aforementioned incidents, you are asked to contact the Ocala Police Department by calling 352-369-7000; by contacting Crime Stoppers of Marion County at 352-368-STOP(7867), www.ocalacrimestoppers.com; or by texting tips to 274637 using keyword 368STOP. Anonymous tips can also be submitted through the OPD mobile app, MYPD, which can be downloaded on Apple and Android devices.